The latest cause for celebration at the Wykeham is the arrival of a new artist, Pip McGarry, the world reknowned wildlife artist. In 2004 Pip had a well known television series ‘A Brush with the Wild’ with Anneka Rice. Celebrities were taught to paint wildlife by Pip and the series was filmed on location in Kenya and at Marwell Zoological Park in Hampshire, where Pip has been the artist in Residence for over 19 years. Pip is recognised as a world leader in painting wildlife and has an international reputation for his oils of big cats and African game. He is passionate about his subject and has raised many thousands of pounds for a variety of wildlife conservation charities. As well as having successful solo exhibitions in the UK Pip has also organised in excess of thirty safaris in Northern Botswana, North and South Tanzania and Kenya. He was also a judge for the BBC Wildlife Artist of the Year, where the prize was to travel with him to Botswana on safari. 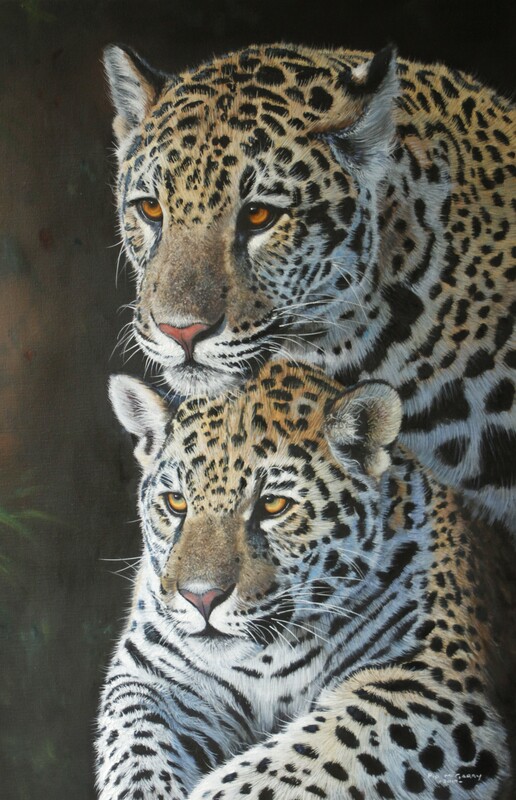 We are delighted to welcome Pip to the Wykeham and look forward to exhibiting his incredible wildlife paintings.